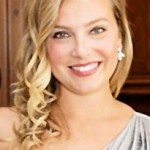 I was all about college football when I was actually IN college and went to every home game. It’s easy to be passionate about a sport and the game when you are immersed in one of the most storied college football environments in the country, when tailgating is a secondary sport, and when you can feel the buzz in the air. I loved it. Then I had to grow up and leave and join the real world. And although the game is still on every Saturday, it’s just not the same. I still watch and cheer, but instead of doing it for the electrifying and joyous atmosphere, I’m really doing it for the food. 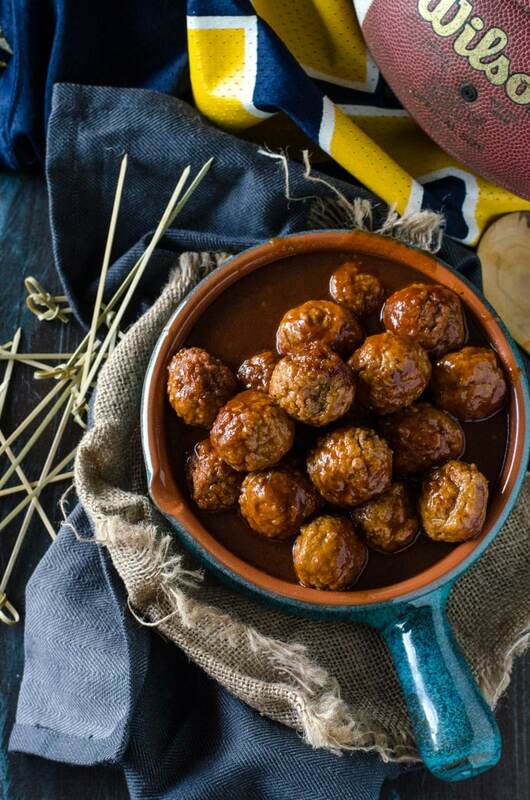 What is it about football and tailgating food that is just so… scrumptious? Is it that it’s always warm, and reminiscent of fall? I can’t put my finger on it, but I do know that I’ve never met a tailgating food I didn’t like- especially those little meatballs in that sweet sauce. 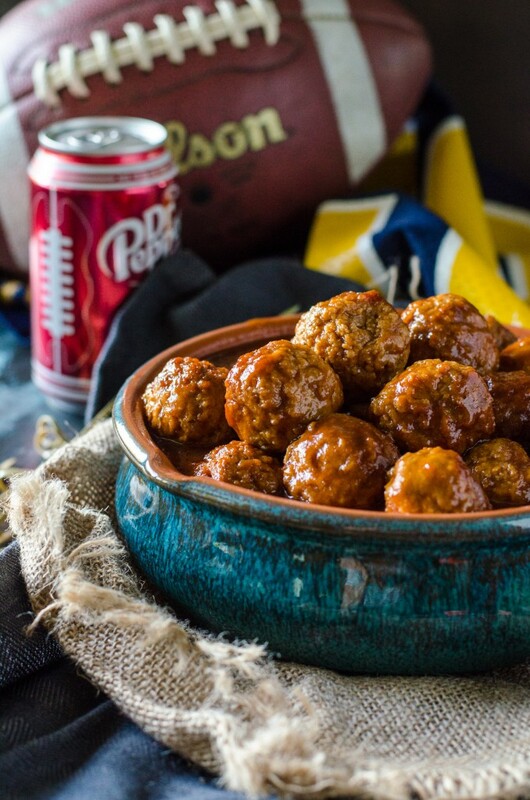 I did a version of those in the slow cooker using Dr Pepper® – the perfect complement to football! The great thing about using Dr Pepper is that it really cuts down on my ingredient list. 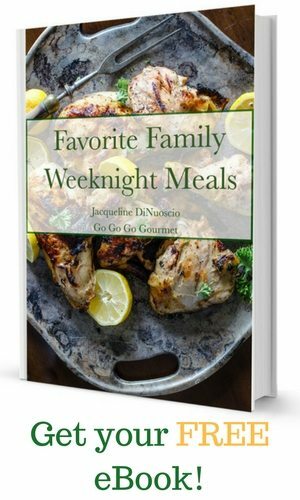 It’s already comprised of so many unique flavors, just the right amount of sweet, that you just have to combine it with a couple other basic pantry ingredients to come up with a great slow cooker sauce for frozen meatballs. Then, when you throw STOUFFER’S® Mac & Cheese into things, you can really get excited. 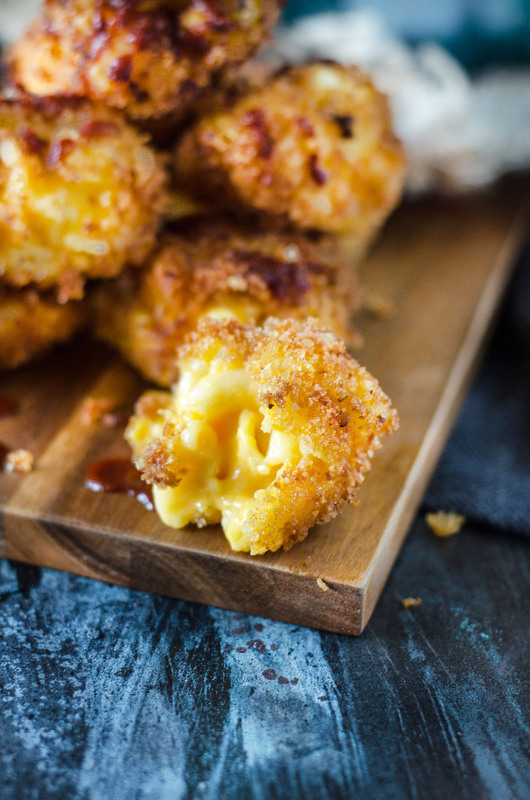 Everyone knows those fried mac and cheese appetizers from chain restaurants, but did you know that they are pretty simple to make at home? 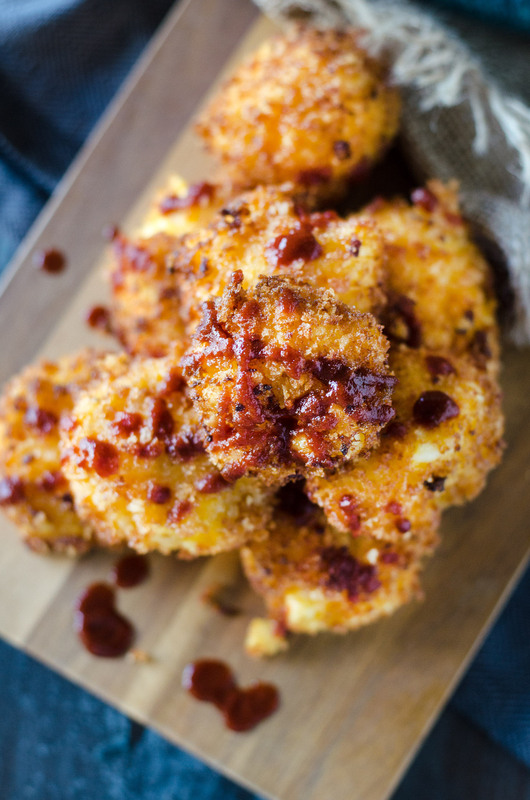 Scoop into balls, stick them in the freezer, coat them in egg and panko, and fry- and a dose of sriracha really makes these out of this world. 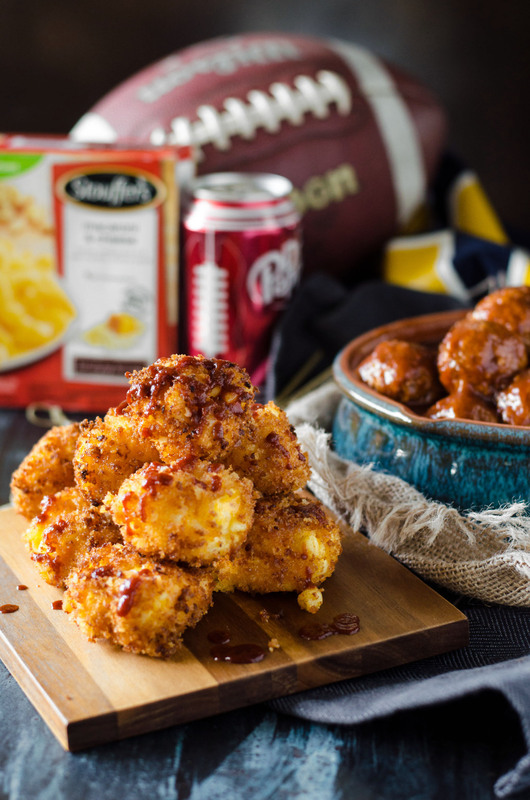 I love using STOUFFER’S® Mac and Cheese, because not only is it amazing by itself (and one of my favorites), it’s made with real, quality ingredients, and the thick cheesiness makes it perfect for these bite sized treats. In a medium saucepan, whisk together the ketchup, Dr Pepper and liquid smoke. Set over medium heat and simmer until reduced by ⅓.
Pour the meatballs into a slow cooker and top with sauce. Using an ice cream scoop, portion out 1½-2" ball of macaroni and cheese. Place into muffin liners, and put the liners on a tray. Freeze for 30 minutes. In a wide, shallow dish, combine the sriracha and panko crumbs using your fingers until evenly coated. Beat the egg in a separate small bowl. Pour the oil to a depth of 2" in a pot and heat to a temperature of 350F. 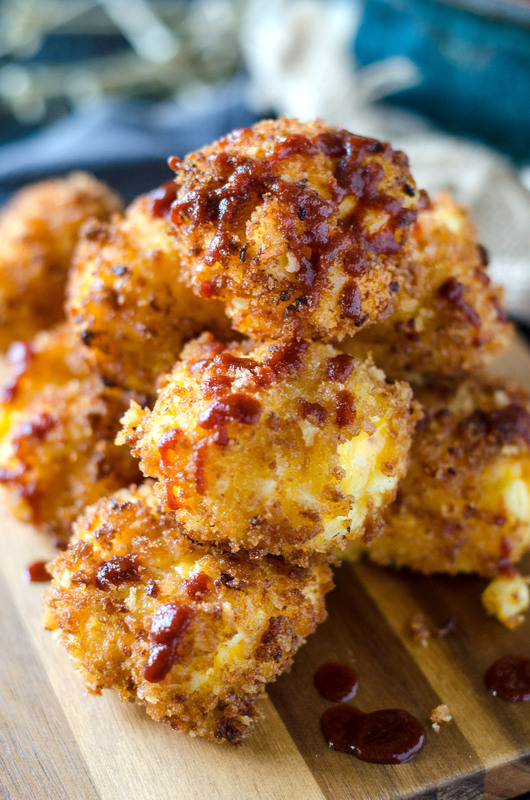 Remove a mac and cheese ball from the muffin liner, coat with egg and roll in sriracha bread crumbs. Set aside and repeat with the remaining balls. Carefully add the mac and cheese balls to the hot oil, working in batches if necessary to prevent overcrowding. Remove when golden brown and crispy. Drizzle with additional sriracha to taste and serve immediately. I was thrilled about the meatballs, but when I caught sight of those mac n’ cheese balls? Over the moon! This is football Sunday heaven!! Where is the recipe for the mac and cheese bites? These look fantastic! The meatballs would be utterly fantastic as would the fried Mac n cheese balls. Being egg allergic and gluten intolerant, I know I could make my own Mac n cheese, roll them in GF bread crumbs , add extra cornstarch to the bread crumbs stick before frying them! One question: do you prepare the Stouffer’s Mac a. Offing tk the package and then scoop, freeze, dip, roll, fry? Or do you scoop them while it’s still a bit frozen in package? #IMomSoHardToo. I like to leave it semi frozen/pretty cold, its just easier that way. I see the recipe for the meatballs but is there an exact recipe for the sriracha fried mac & cheese balls?